Stylish and Trendy Combos from the house of YouBella, perfect for all occassions. 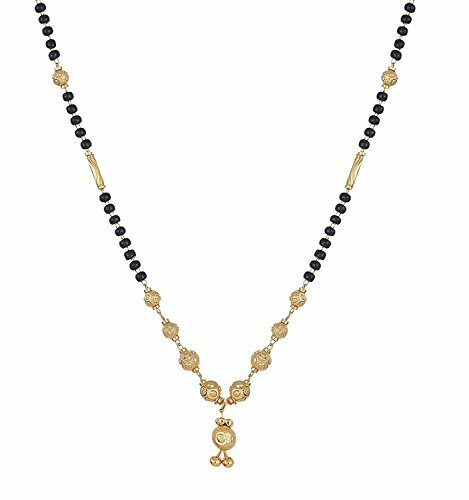 Look stylish and flaunt your signature style by wearing this Mangalsutra by Zeneme. It will elevate your style quotient in no time. Made from copper, it is also rust and corrosion resistant. 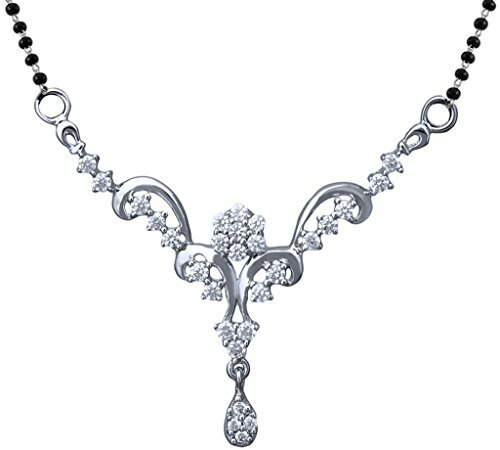 Brand - Charms Is A Well Known Brand Across Fashion Jewellery Sector. Charms Products Are Preferred By Many Designers, Stars And Celebrities. 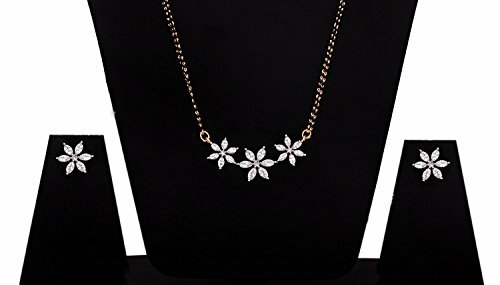 Charms Fashion Jewelry Believes In Making Beauty And Fashion A Part Of Everybody'S Life. 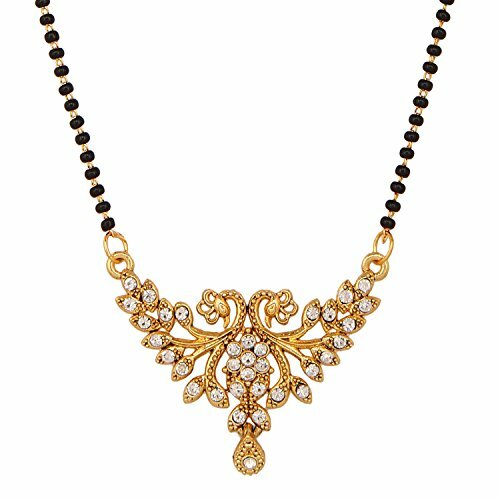 Buyers Who Purchased This Mangalsutra From Charms Really Liked This Product. 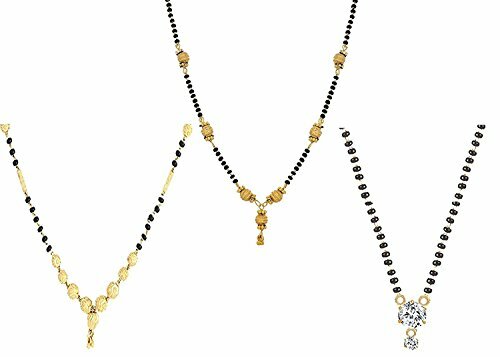 Beauty - A Mere Look Will Be Enough For You To Fall In Love With These Pretty Mangalsutra From Charms. 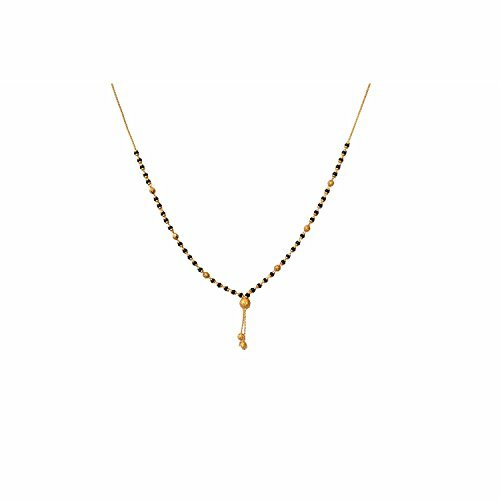 Made From Antique Gold Plated Alloy, These Mangalsutra Are Durable And Have An Excellent Finish. 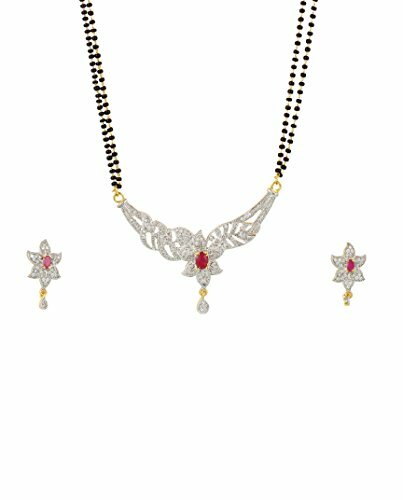 Beautifully Designed, These Mangalsutra Will Go Well With Any Of Your Ethnic Attire. 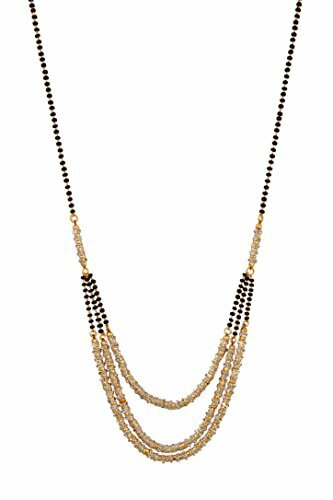 Quality - Made From High Quality Antique Gold Plated Alloy And Studded With Hand Picked Superior American Diomonds. The Product Comes In Youbella Branded Packaging. 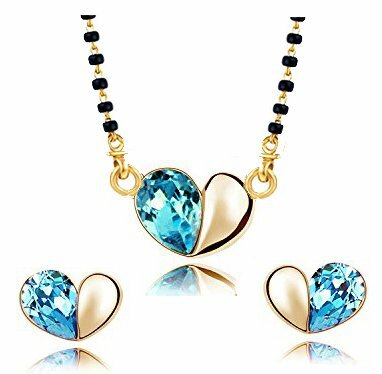 All Genuine "Youbella" Products Are Sold And Marketed By Youbella Jewellery And Lifestyle." 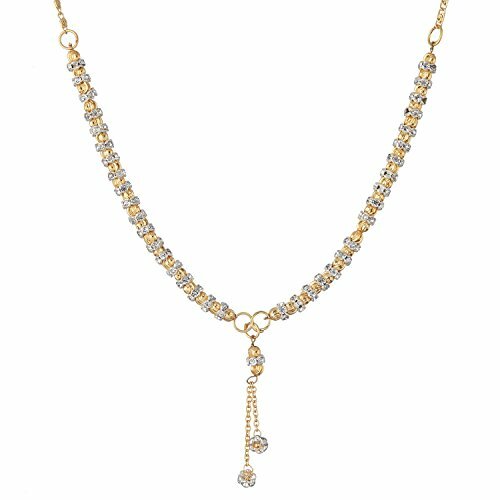 Swarovski Stones add brilliance to this Sterling silver mangalsutra pendant. Single line silver and black bead chain provided. 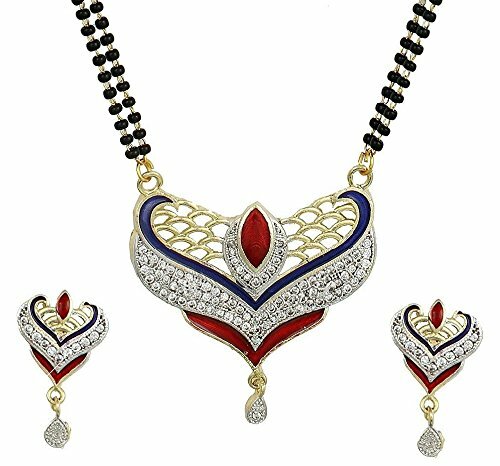 This jewellery features a unique one of a kind traditional embellish with antique finish. 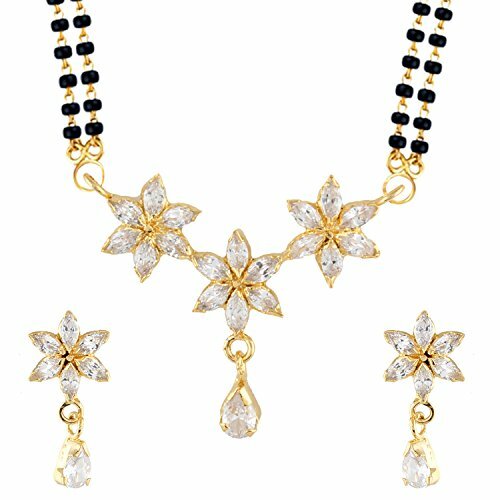 American Diamond CZ Mangalsutra Set. 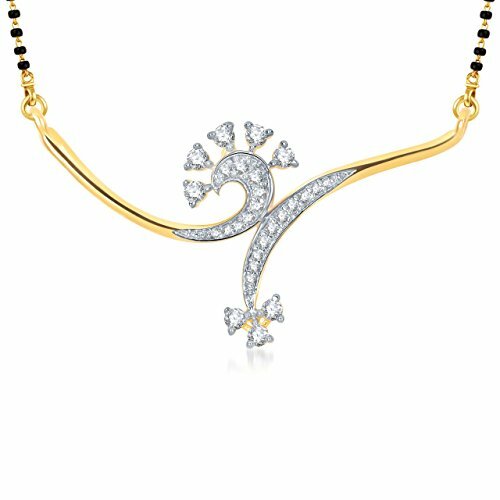 The length and width mentioned below is of the pendant. 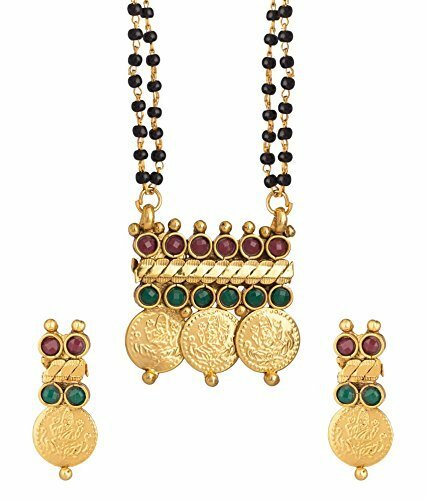 The set comes with double line chain. The chain is 20 inches long. 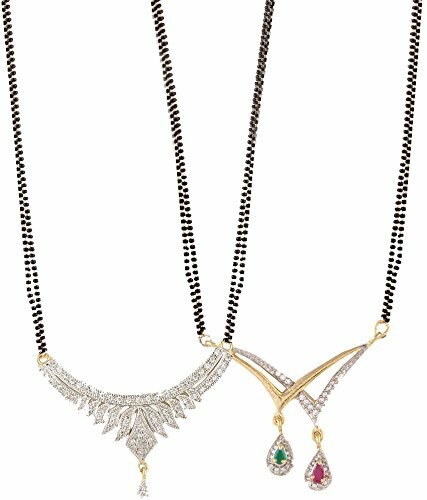 From the house of JewelsGalaxy, This Contemporary Mangalsutra add a hint of raw ethnic beauty to any look. 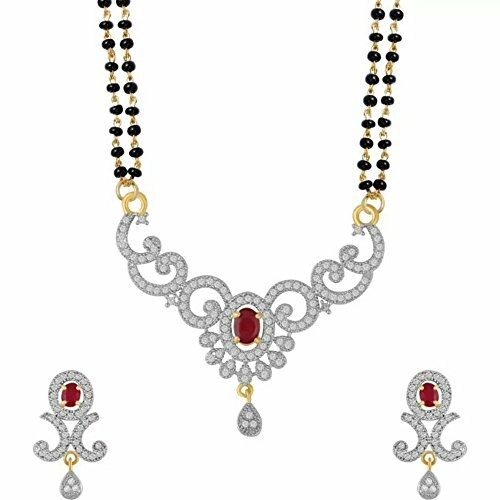 Representing a classic fusion of exquisite craftsmanship and feminine elegance, this set will definitely be a treasured inclusion in every woman's jewellery collection. The gold finish further ensures a long-lasting shine.!! 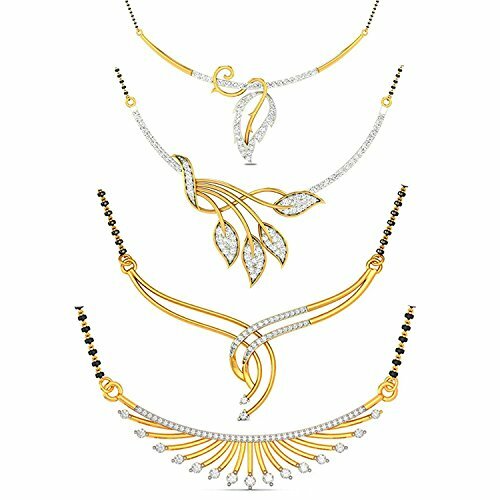 Brand - Ashvi Jewels Is A Well Known Brand Across Fashion Jewellery Sector. Ashvi Jewels Products Are Preferred By Many Designers, Stars And Celebrities. 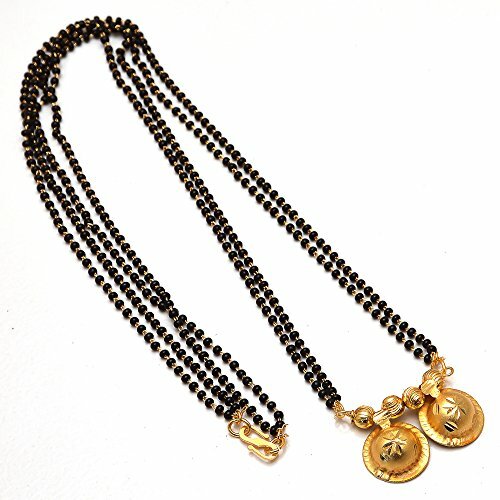 Ashvi Jewels Fashion Jewelry Believes In Making Beauty And Fashion A Part Of Everybody'S Life. 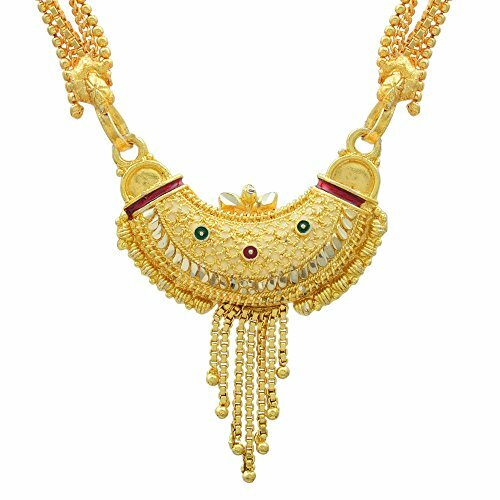 Care- It Is Advisable To Store Jewellery In A Zip Lock Pouch (Air Tight Pouch), Keep Away From Water Perfume And Other Chemicals And Clean It With Dry And Soft Cloth. Ideal Gift: Perfect Gift For Any Occasions That Will Surely Make A Memorable Impression. 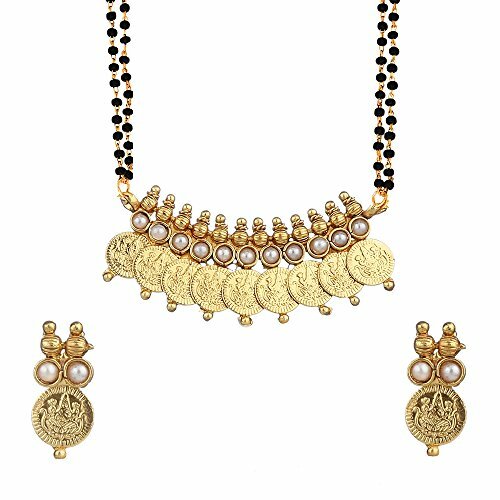 Gold Plated, Handmade, Maharashtrian Tradition Inspired, With Top Quality Meena And Filigree Work. 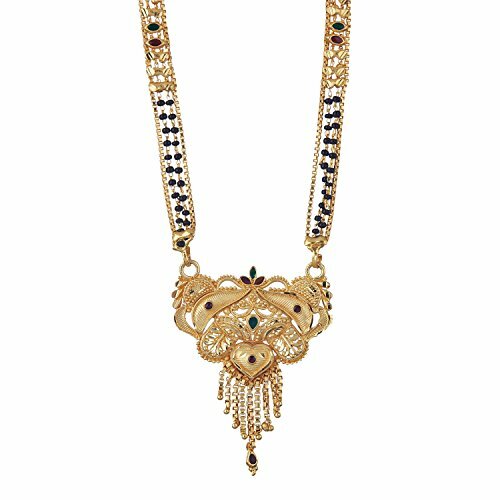 Pendant Adorned With Gold Plated Tassles. 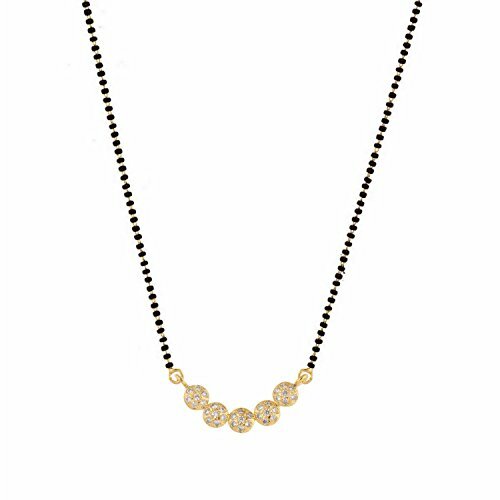 A Perfect Accessory To Your Outfit Or As An Appropriate Gift, Suitable For Ball, Wedding, Party Or Any Special Occasions. 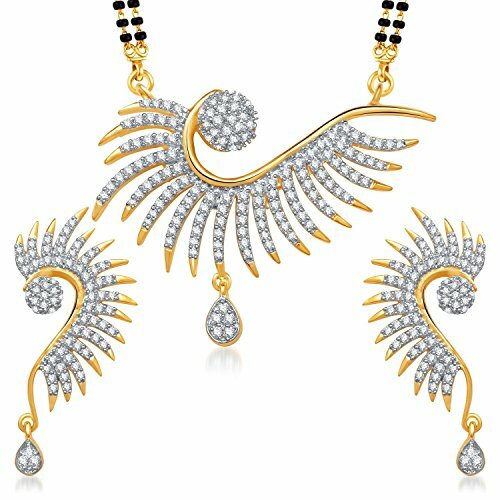 Material: Alloy Gold Plated American Diamond Mangalsutra Set for Women. 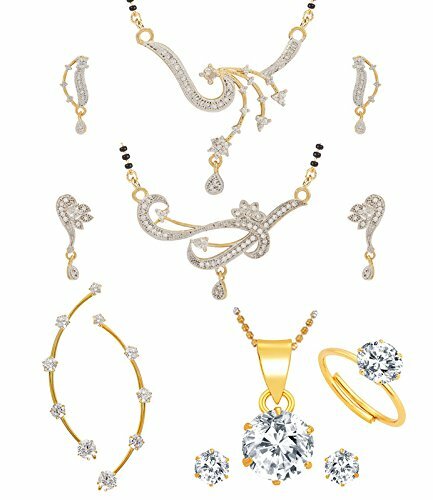 BRAND - Ashvi Jewels is a well known brand across fashion jewellery sector. Ashvi Jewels products are preferred by many Designers, Stars and Celebrities. 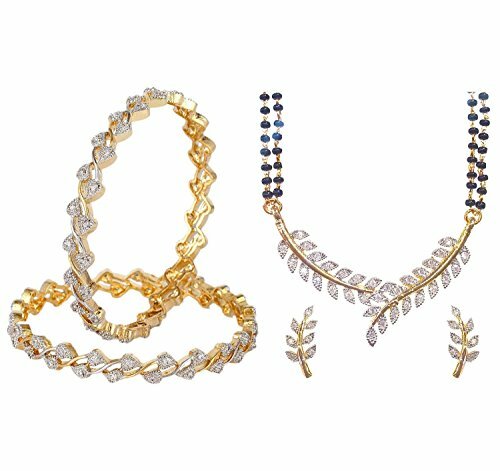 Ashvi Jewels fashion jewelry believes in making beauty and fashion a part of everybody's life. BEWARE OF OTHER SELLER SELLING FAKE AND CHEAP REPLICA. 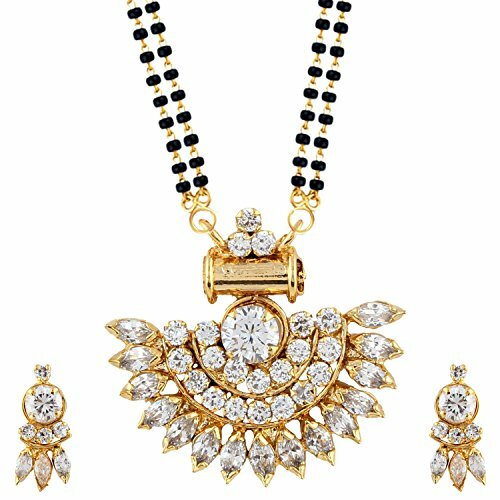 Buy ORIGINAL only from Ashvi Jewels . 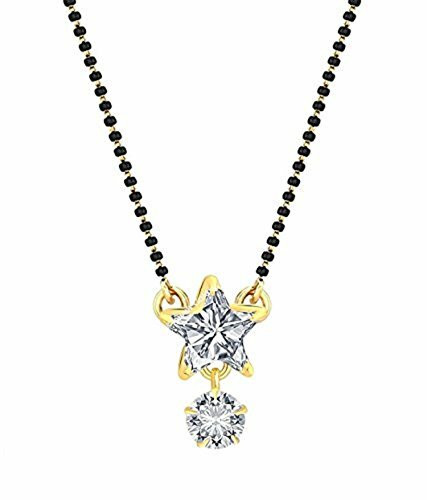 FIVE STAR customer reviews suggest that the buyers who purchased this Jewellery from Ashvi Jewels really liked this product. 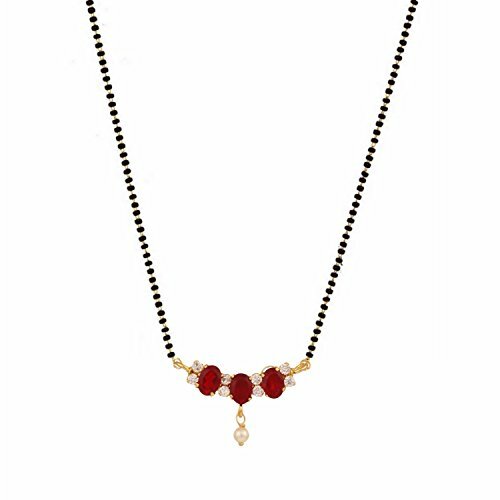 BEAUTY - A mere look will be enough for you to fall in love with these pretty Mangalsutra from Ashvi. 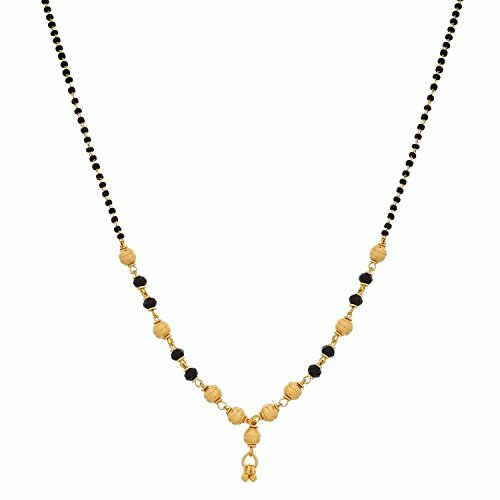 Made from antique gold plated alloy, these Mangalsutra are durable and have an excellent finish. 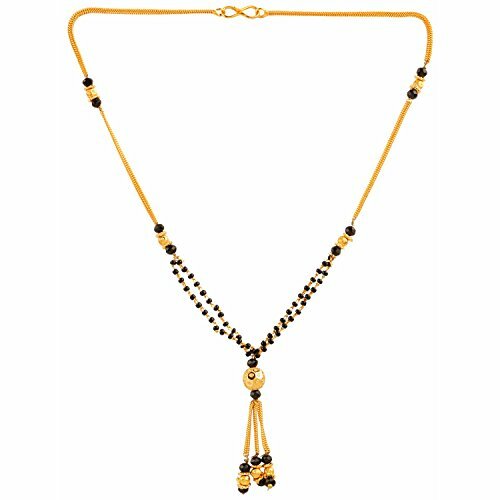 Beautifully designed, these Mangalsutra will go well with any of your ethnic attire. 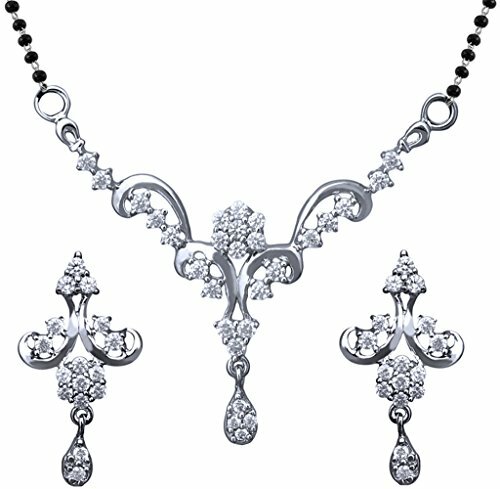 Swarovski Stones add brilliance to this Sterling silver mangalsutra pendant and earring set. 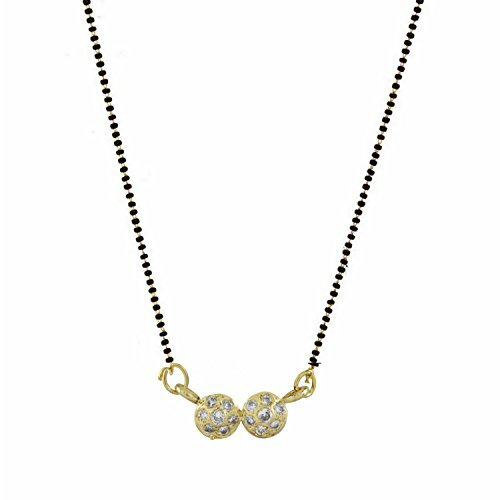 Beautiful Single line silver and black bead chain is included. 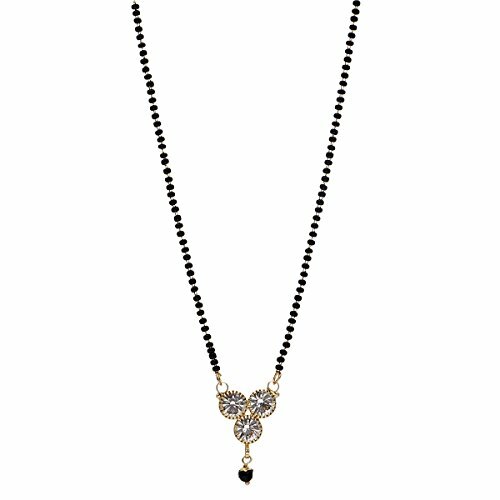 This lovely American Diamond Mangalsutra from the house of Zeneme has been exclusively designed for you. 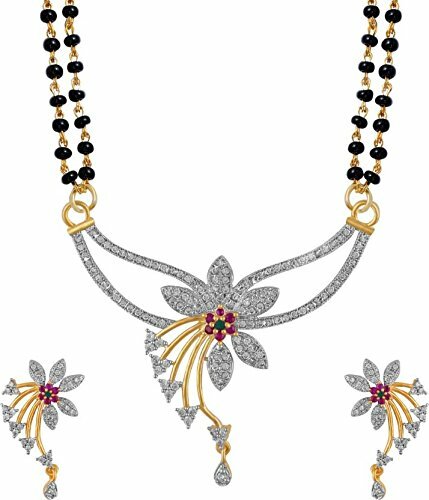 This Beautiful AD Mangalsutra is studded with real look-alike American Diamonds, along-with Semi-Precious Ruby / Emerald / Sapphire Stones and Kundan. 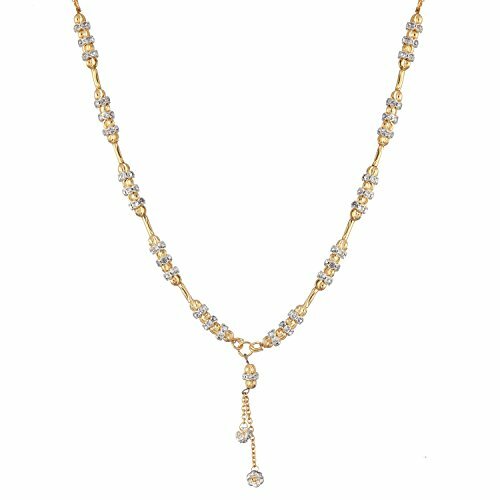 The CZ(Cubic Zirconia) stones used in crafting this elegant Mangalsutra makes it look like real diamond Mangalsutra. 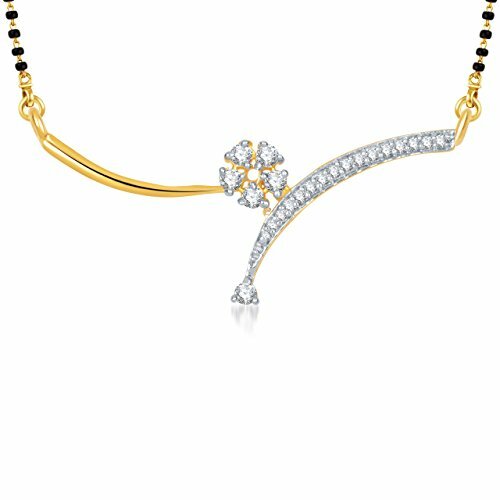 For Shine and Protection, this just like real diamonds Mangalsutra is Gold plated with 18 karat Gold and Rhodium. 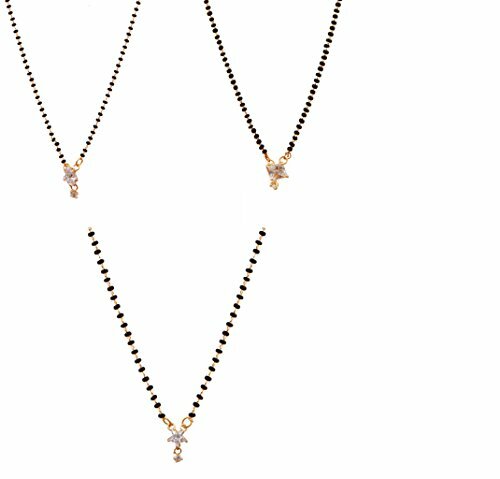 Pair of matching tops complements this CZ Mangalsutra, making it the perfect fit for any party or special occasion its graceful design complements with any ethnic or western outfit. Stylish and Trendy Combos from the house of Zeneme, perfect for all occassions.